PAX Unplugged, the tabletop gaming convention from Penny Arcade, just wrapped up its second edition at the Philadelphia Convention Center, and this year’s was bigger and better than the first one, taking over the entire exhibit hall for more booths and a lot more free gaming space. I went for all three days and demoed a number of games, mostly in their tremendous First Look area, where publishers loan games and trained volunteers help teach convention goers like me how to play them. Here’s what I played. Azul was my #1 game of 2017 and ended up winning the Spiel des Jahres award for game of the year, and it has quickly become one of my favorite games ever for its easy playability, the strategy involved in trying to plan your moves around what opponents might do, and the gorgeous artwork. This game is a standalone sequel that takes half of the original’s mechanics—how you set up each round and how players take and place tiles is the same, but your board is totally different, and variable. Players try to fill out five-space columns of stained glass and score for filling them out if they match the round’s color … and then score again for all columns to the right of the completed one that have already scored. That means you can rack up higher scores with 11-14 point plays if you build your board right. 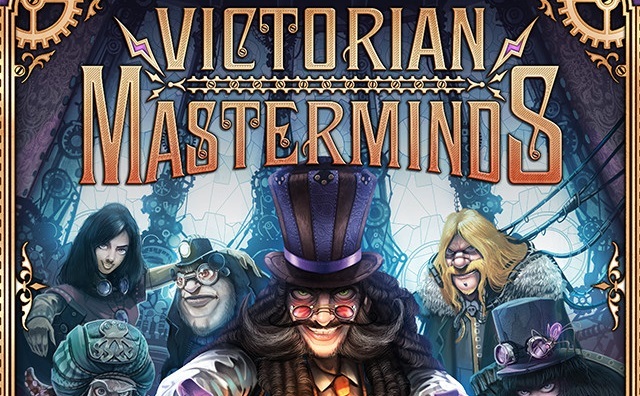 It’s novel but familiar, with that perfect touch of spite from the base game, and has the benefit of a very quick ramp up if you’ve played the original. I hate to say it, but I think designer Stefan Feld (Castles of Burgundy) has lost his touch—and he had a touch to lose, man. This is the second straight Feld game that has disappointed, although unlike Merlin, which was a point salad full of American romaine, Carpe Diem has more straightforward scoring but way too much variation in its tiles. Executing a strategy is too difficult because there aren’t enough tiles of specific types, because Feld incorporates too many types of buildings and fields (four of each) and other features in a game that doesn’t give you that many turns. Also, and this is common theme in many of his games, the colors are too bland and similar to easily distinguish between light or dark green tiles, or yellow and brown buildings. Phil Walker-Harding had a modest hit last year with the Tetris-like Bärenpark, and has two new titles out now with Gizmos and Gingerbread House. This very light, quick-moving game has a bit of a Kingdomino vibe as players place two-square tiles on their 3×3 board, building upwards and gaining rewards—mostly gingerbread shapes—based on what they cover up. You can exchange those shapes for cards worth about 4 to 10 points, and there are bonus cards that increase your points at game-end based on what cards you’ve collected. It seems like a great gateway game to play with young players. A heavier worker-placement Euro with a slew of ways to improve your outcome—maybe a few too many—although if you can get past the analysis paralysis games like this can cause, Gùgong is actually extremely well-designed and the individual turns are short. The most novel aspect of the game is the way players take their actions: Players play hand cards that are numbered 1 through 9, most of which depict one action on the cards, and can only exchange them freely for cards from the board with lower numbers; otherwise, they have to pay some kind of tax to take an equal or higher card. 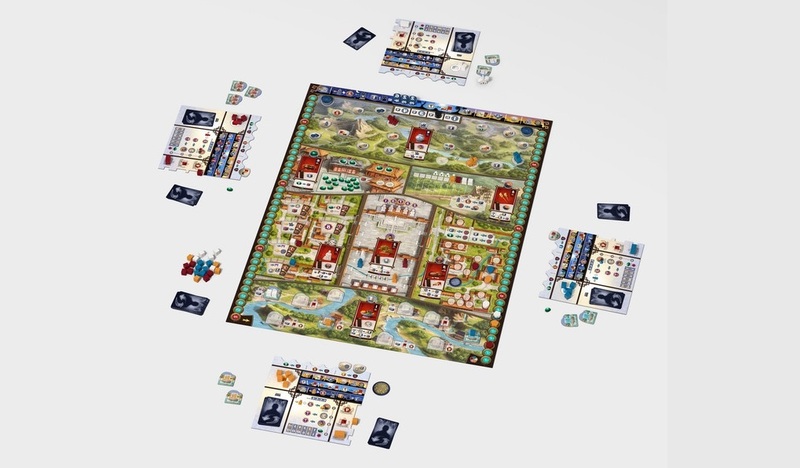 The game revolves around multiple tracks, like Tzolkin or the newer Coimbra, with tracks interacting with each other, several of them putting players into direct competition. One track is mandatory—if you don’t reach the top, you can’t win. The box says 90 minutes, and our five-player demo took 95. Shem Phillips, the designer of the Kennerspiel-nominated Raiders of the North Sea, takes us back to … uh, somewhere very close to the North Sea, with the same, delightful, cartoonish artwork, and lots of worker placement as well. There’s a Stone Age-y vibe to the game—you’re gathering some resources to build building cards—but you have approximately a billion meeples to start the game, and if you add a meeple to an action space where you already have meeples, you execute that space’s action multiple times. During the game you can take the action to retrieve all meeples of a single color from one space—any color, so you can take an opponent’s meeples, place them in your own jail, and then transfer them to the guardhouse for one coin apiece. If anything, the game’s a little too short, and after one play I think players must choose building their own buildings or working on the shared cathedral, but not both. The other Phil Walker-Harding game out now, Gizmos was a big hit at GenCon in large part because the marble dispenser is so cool-looking—it’s a bit like a gumball machine, showing you six marbles at a time. Those marbles are “energy” tokens, and you will use those to build cards that give you additional abilities, so at heart it’s a very classic, fast-moving engine-builder. When I played a demo, I acquired enough abilities so that every time I filed (reserved) a card, I picked one marble from the display and four more random ones from the supply; and whenever I built a red card, I picked three marbles from the display. You can daisy-chain these abilities to speed your construction, with games lasting maybe 30-40 minutes, ending when one player builds their 16th card or fourth level 3 card. If you liked The Mind, this cooperative game—due out in the spring from Z-Man Games—has a similar mechanic where players’ communication with each other is limited, but everyone has to work toward a common goal. 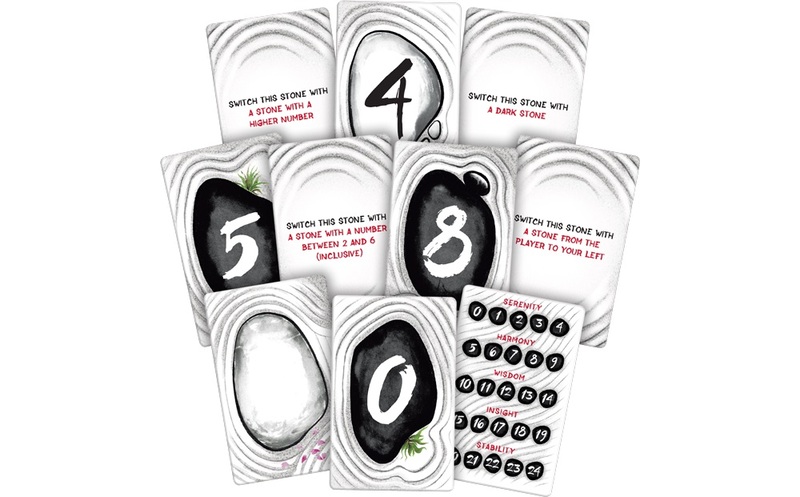 The game has two decks, one of stones that are numbered 0 through 9 along with several blanks, and a deck of cards showing restrictions on how those cards can be exchanged. They’re combined randomly in pairs and inserted into sleeves, then dealt out three or four to each player and laid on the table, number side up. Players must get the cards in order, clockwise or counterclockwise, around the table, by switching one card for another each turn, adhering to the restrictions on the backs of their cards but never telling other players what the restrictions are. As you swap more cards, of course, you learn more of the restrictions, but you only get 24 moves total before you’ve lost the game. A light game of spatial relations and turn efficiency, York probably had the shortest set of rules for any game I tried at the con. Players each get boards, marked into grids, with some squares showing coins, Vikings, or three types of buildings. In each of two rounds, the players roll three dice that indicate how many of each of the building types they must include in their city, and then they place city walls on their board to enclose an area with those features, gaining enclosed coins but potentially losing points for Vikings. The catch is that you can only place walls based on the roll of a die that shows various patterns of two or three fences. You can place extras that will be discarded, but the player who finishes first in each round racks up a lot of additional coins while waiting for the other players to finish. The strategy here isn’t deep but I think you could play this with younger players. Fans of North Star Games’ Evolution will love this upcoming title, due to hit Kickstarter in February, that borrows many of the original’s mechanics, but has a new underwater setting and a streamlined set of basic rules so that building engines in each species you create becomes even more important. Players create species with up to three trait cards, feeding them from the central reef (by ‘foraging’) or from other players’ species (by attacking), and then bank one food token per species at the end of each turn, gaining points for game-end. A species without any food left at the end of your turn goes extinct. The trait cards are key, and some work together quite well to make your species virtually unassailable (enough so, at least, that everyone will attack someone else), or set it up to feed itself passively through other players’ moves. I love the Roger Dean-esque art on the cards and box as well. North Star is hoping to get the game out to customers by Gen Con in August. There were a few others in the First Look area I just never got to, either because they were too popular or I lacked time: Teotihuacan, from the designer of T’zolkin, which has a ridiculously intimidating board but which I was assured is not that complicated to play; Ragusa, a game where players gather resources to craft higher-end commodities, due out in 2019; Blackout Hong Kong, a heavy economic game from two-time Spiel des Jahres winner Alexander Pfister; and Majolica, a tile-laying game with gorgeous artwork, a rare tabletop game from a Taiwanese game designer. 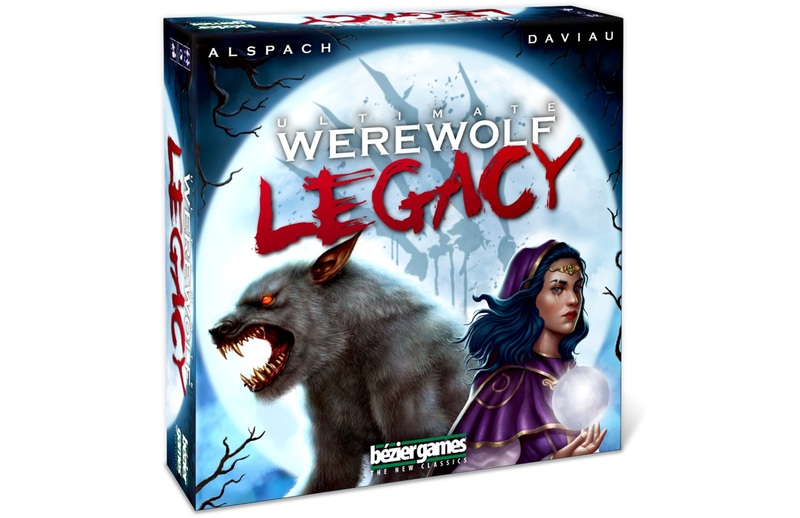 Bezier Games debuted Ultimate Werewolf Legacy, a legacy game (obviously) for nine to sixteen players, bringing the Ultimate Werewolf experience into a longer narrative-based series lasting sixteen plays. It comes with a gorgeous book that serves as the guide for whichever player takes over as the game master. They’ve also released Werewords Deluxe, an upgrade to my favorite party game of 2018, which has new roles, has modes for two or three players, or for up to twenty, and has a speed mode that plays in just two minutes. Iello games has a new gaming ‘console’ system called 8Bit Box, which comes with three games in the base and room for expansions, with the games inspired by major videogame hits of the 1980s—Pixoid, which looks a bit like classic Pac-Man and has all players but one chasing that last player around a maze; Outspeed, reminiscent of Pole Position; and Stadium, which recalls a whole host of sports games from the Atari era. They also have a new party game called Decrypto where players try to communicate code words to each other, but where the other team has a chance to guess as clues are spoken out loud and try to steal the other side’s code. Renegade and Dire Wolf announced a new product in the Clank! series of irreverent dungeon crawl-inspired board games, Clank! Legacy Acquisitions Corporation, produced in concert with the Penny Arcade group (organizers of PAX) to bring the legacy experience to Clank! players. Renegade released Architects of the West Kingdom just last week, and a new game of trading and worker placement called Passing through Petra that debuted at the Essen show in October. Fans of a certain age may be pleased to hear there’s a Power Rangers game coming in 2019, where players work together to fight the evil plans of Rita Repulsa. Handelabra just saw their Kickstarter for a digital adaptation of the deckbuilder Aeon’s End fully fund over the weekend, and they hope to deliver the product at some point in June. They had demos available, with the UI bringing a similar feel to their version of Sentinels of the Multiverse. Grimlord Games, a UK-based designer & publisher, chose PAX Unplugged for their first US game convention, and had their existing title Village Attacks and a prototype of their forthcoming title Everrain, a dystopian game of sea exploration and precipitation, where players explore the map together, outfitting their ships, hiring crew, engaging in combat, and visiting ports to rest up and hope their sailors don’t end up in bar brawls. It’s just out of Kickstarter, with a late backer pledge period starting on Jan. 2nd, and delivery towards the end of 2019. CMON had their new version of Potion Explosion, with a more durable plastic dispenser and the expansion to allow for a sixth player; Victorian Masterminds, a game jointly designed by Antoine Bauza (7 Wonders) and Eric Lang (Rising Sun), on sale at the con and in retail soon; Narcos, inspired by the Netflix series’ first two seasons, out now; and a long cooperative World War I game called Grizzled: Survival Armistice. The narrative title features artwork from Bernard Verlhac, who worked under the pseudonym Tignous, and who was one of the victims of the terrorist attack on the Charlie Hebdo offices in 2015. Asmodee had several major new titles that were just released or are about to hit retail, including The River, a light worker placement game from Days of Wonder (think Stone Age, but simpler, playing in about a half an hour); the third of edition of Arkham Horror, with streamlined rules and a very strong narrative component; and Comanauts, a cooperative game with the same core mechanics as this spring’s Stuffed Fables but a darker, more adult theme. They also announced a forthcoming game called Black Mirror: Nosedive, based on the episode by that name that starred Bryce Dallas Howard, where players compete to build a “perfect” life without losing social media status; the game will play with the aid of a free iOS/Android app and should be out within the month. Floodgate Games had a better prototype of Bosk, its game of falling leaves from one of the designers of Sagrada, due out in the spring as they skip Kickstarter entirely. Everyone notices the thematic similarity to Photosynthesis, but the game plays quite differently, focusing more on area control, as players try to plant trees so that the wind blows their leaves over specific portions of the board for more points. AEG had its newest title, Scorpius Freighter, which brings worker and tile placement mechanics into a game with an intergalactic trade (and smuggling) theme, on sale at the show and out to retail shortly; as well as their hit from earlier this year, Space Base, which has a Machi Koro/Valeria style mechanic where one player rolls and everyone else might get some benefit too, and players then use their games to build card tableaux to rack up faster point gains.